Ropali Motorcycles and Honda Philippines Inc. together with other major sponsors like Kawasaki Motor Philippines, Inc., Yamaha Motor Philippines and Suzuki Philippines have joined forces for the Partakan Festival. 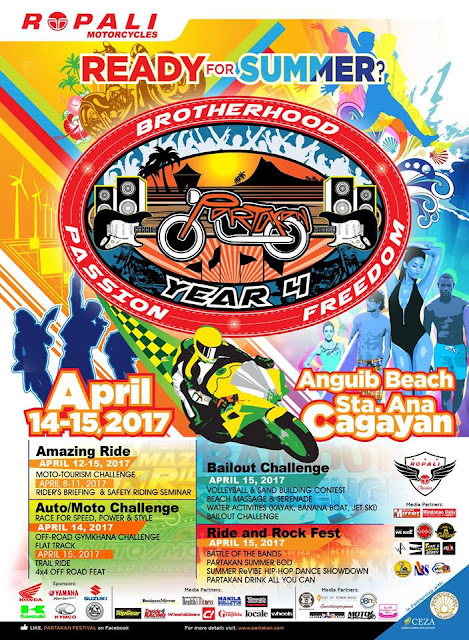 This will be the 4th Partakan Festival set to happen on April 14-15, 2017 at Anguib Beach in Sta. Ana, Cagayan, Philippines. The Bail Out Challenge - Wipe Out inspired. Summer Re-Vibe Hip Hop Dance Showdown and Partakan Summer Bod Swimsuit Competition. 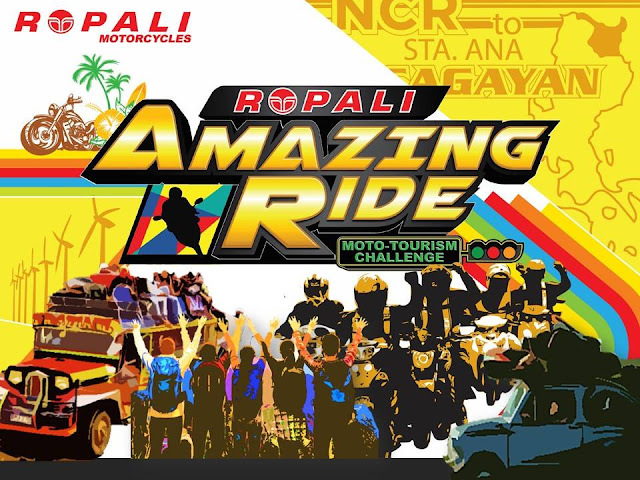 Participants can also join the safety riding seminars, sand building contests, and other various water activities. Plus a motorcycle is at stake for a raffled draw!